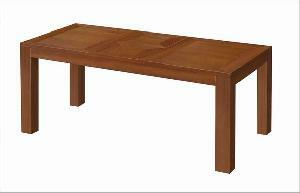 (AS 016) Rectangular extension table from solid kiln dry mahogany wood, with smooth finishing. Size : 90 x 120-160 x 77 cm with knock down system. Available in Teak material also.